Five time (five time) WCW champion Booker T is suing Activision for ripping off one of his wrestling personas in Call of Duty. Booker claims that Black Ops 4 Specialist Prophet copies his G.I. Bro character, specifically as he appears in a set of comic books released a few years ago. The copyright infringement suit says “there is no doubt” that the defendants “copied” the character. The suit, filed in Booker T’s native Texas, targets Activision Publishing, Activision-Blizzard, and Major League Gaming over the sale and promotion of Black Ops 4 while infringing on the G.I. Bro copyright. As copyright holder, Booker has the “exclusive right to make copies and derivatives of the owner’s works” – and, according to the suit, Black Ops 4 with its depiction of Prophet is a derivative work. You can read the filing – as spotted by The Verge – in full here. It’s not the first time a celebrity has sued over their appearance in a game. Several years ago, Lindsay Lohan filed a lawsuit over a GTA5 character which allegedly copied her likeness. 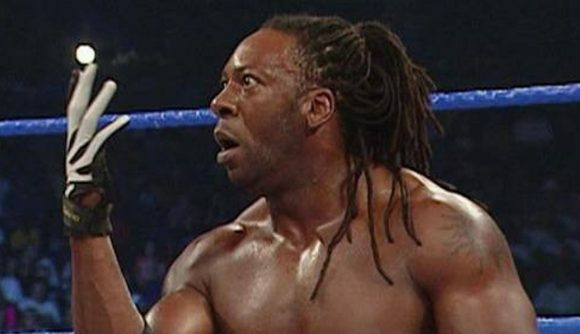 Booker T’s case is significantly different, however – this is about a copyrighted character appearance, rather than the use of a public figure’s likeness. Whether the result is different remains to be seen.